Curtis Gilmour has completed the acquisition of Agrisense Industrial Monitoring, manufacturer of AgriSense and Trappit product lines, from Suterra LLC. It has also acquired Silvandersson AB, manufacturer of Silvalure and other professional products. Cryonite is not part of the acquisition. 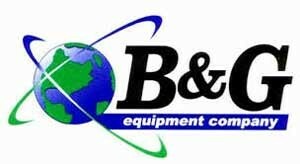 The two acquisitions join two of Curtis Gilmour’s other industry interests, B&G Equipment and Curtis Dyna-fog. “The acquisitions offer strategic benefits for the group in providing the opportunity to expand U.S.-manufactured products into the European market, and European-manufactured products into the U.S. market,” says Cecil Patterson, president of B&G Equipment Co., Jackson, Ga.